Categories: Earrings, Urban Bluetopia Collection, New Arrivals, Casual Collection. Tags: blue earrings, earrings, rhinestone earrings, statement earrings. Dress up your lobes with our sparkly Afina blue drop earrings, from our Urban Bluetopia Collection. 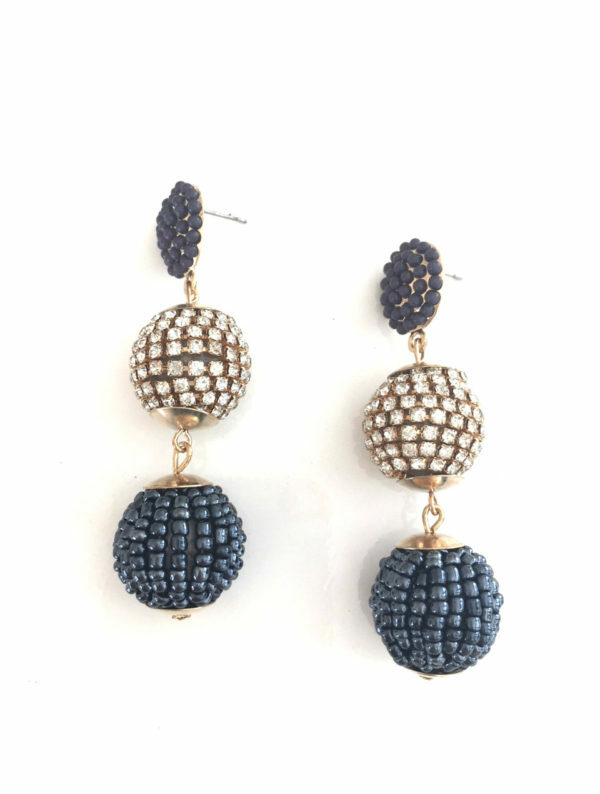 Adorned with crystal rhinestones and blue seed beads, these statement earrings are all the rage now.